Does anyone do palettes better than Urban Decay? Genuine question – not a statement! Do you think Urban Decay have to be up there when it comes to palettes, they’re really pretty darn good. 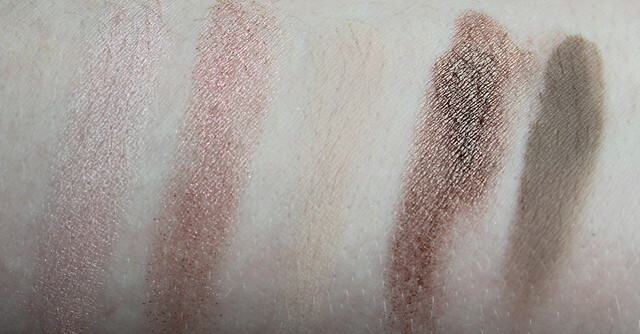 What I think they manage to nail better than other brands is that they can do neutrals (hello Naked 1,2 and coming soon…3!) but they also do colour just as well. Where other brands perhaps do quads amazingly, or neutral palettes are their thing…Urban Decay can do colour and neutrals with as much lust-worthy success. 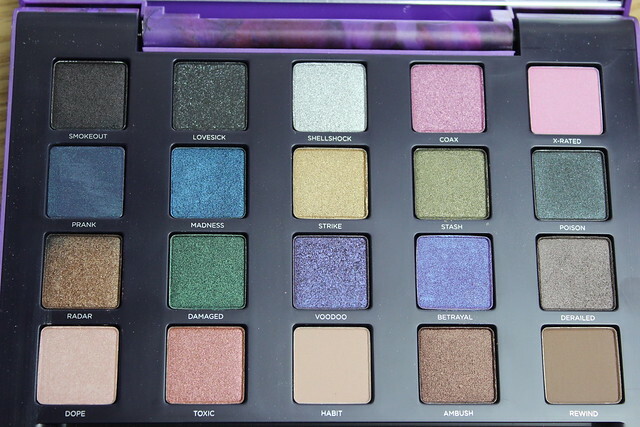 Which leads me nicely on to taking a closer look at the UD Vice 2 palette…. and it’s a stunner. The packaging is simple – a bright watercolour outer case which is plastic – top marks for sturdiness and portability! Sure, it’s a bit bulky – so not really one for travelling light… but it does have every colour you could possibly want in there! Plus, the inside of the lid has an amazing mirror – decent size. So all round, top marks for the palette. 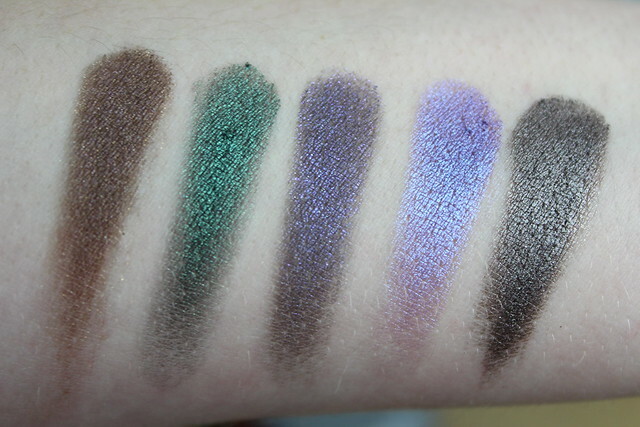 On to the shadows – what I like about this palette is that it has the nice neutral offering in there in the shades Dope, Toxic, Habit, Ambush, Rewind and Radar. Lots of bronzes, neutrals, plus a couple of mattes and some pinky toned shimmers. Happy days for all the neutral lovers out there. Then there are the eye-popping colours Damaged, Voodoo, Betrayal – the purples and greens. Betrayal is seriously amazing, just look at that metallic and frosty but amazing sheen to it!? I know I’d need some serious make-up lessons to manage to actually apply this and not look awful but these have the wow factor. Then there’s the smokey eye shades – Stash, Derailed, Poison, Smokeout and Lovesick – all deep gunmetal greys or deep blacks with diffrerent shades of shimmer to them. 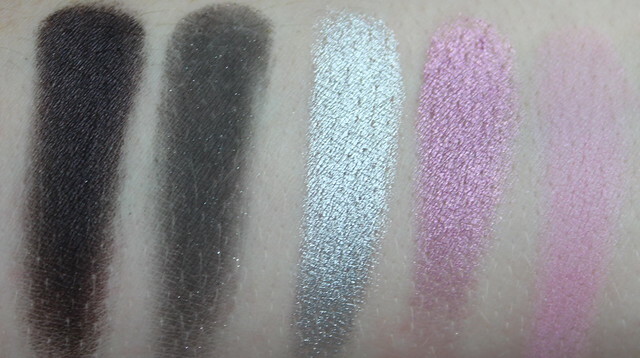 Then a few interesting ones – two pinks: Coax and X-Rated – one matte and one with shimmer. Pink it the illusive shade that I can’t quite figure out how to make work for my skintone…but would love some tips if anyone has ideas! Shellshock is a stunner of a silver shade – it looks like foil more than metallic powder. Prank and Madness are amazing for blue lovers out there – Prank is a stunning navy, it’s rare to see a navy that’s actually impressive and not a let down when swatched. Strike is a pretty gold, but of these shades – it’s not the most unique of the bunch. The stand outs for me have to be: Shellshock, Stash, Prank, Betrayal, Derailed and Ambush. But there are a lot of winners in there! Habit is probably the only true let down of the bunch! What do you think of the Vice 2 Palette? Let me know which brand you think is the King of all palette creators! I’m a HUGE fan urban decay but I find it so hard (and expensive) to keep up with all their new palettes! So true- there are so many! (I have a couple more in the wings to write about!) but they are so good!